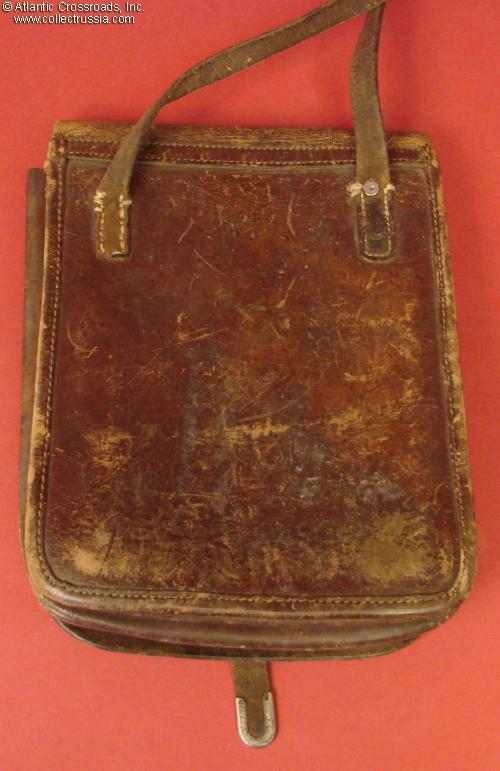 Officer's leather map case, circa mid- to late-1930s. Measures approx. 8" x 11". 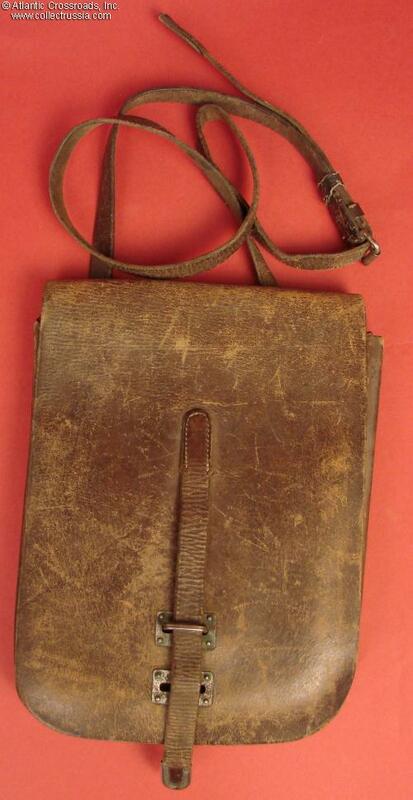 This is an early model in genuine leather, as opposed to ersatz leather version produced during the Patriotic War. A solid, well-made piece. The interior is separated into two compartments by an integral canvas divider, with an additional smaller pocket up front. Includes detachable pencil holder insert. 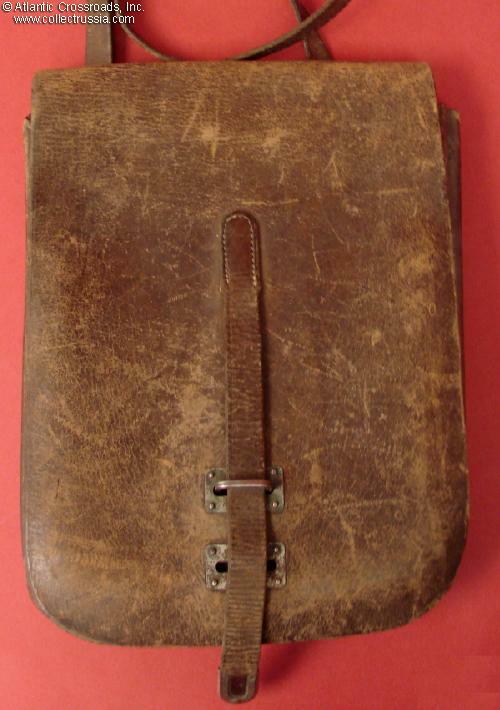 Expandable to hold numerous maps, notebooks and manuals. The fittings are in nickel-plated steel. 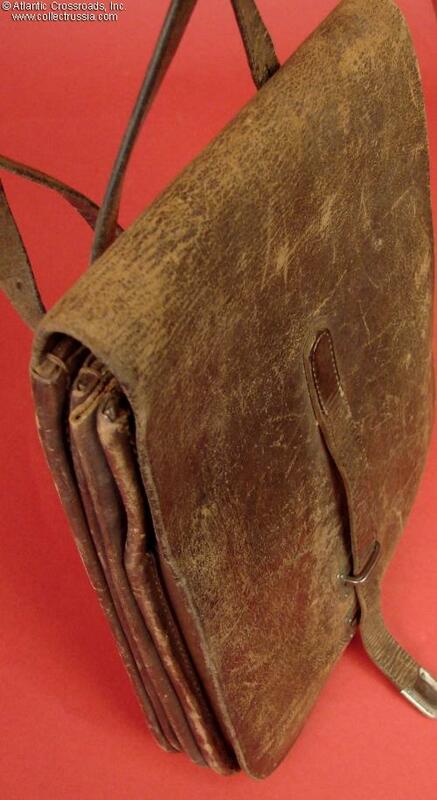 Includes original shoulder sling sewn in and additionally attached by rivets on the back. 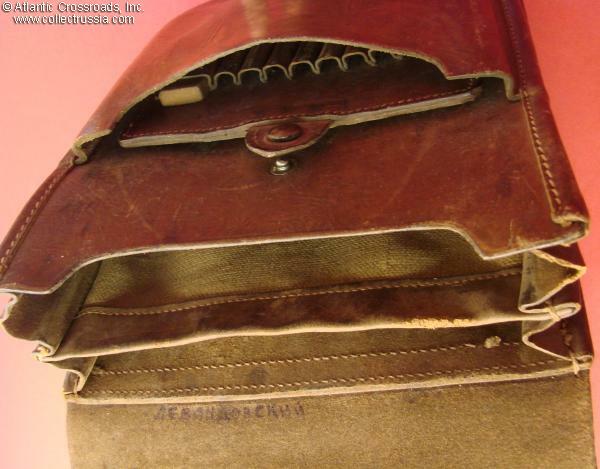 No detectable maker's marks, but there is a hand-written name "Levandovskiy" on the inside flap, possibly the name of the original owner. In very good overall condition. 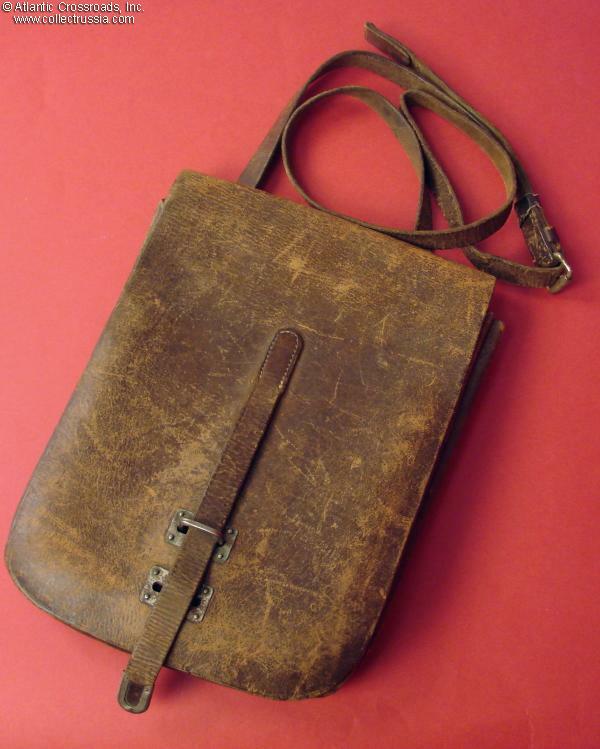 Shows considerable field wear and use, but the leather is still solid and the surface displays the warm look that leather sometimes acquires when it has had a lot of handling. 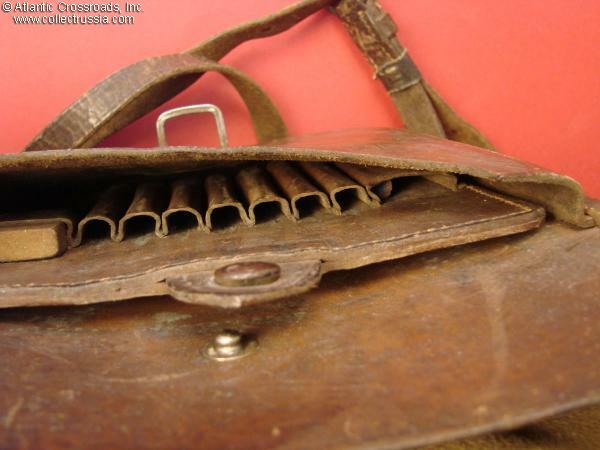 One of the ends of the shoulder sling has an added nail driven into the rivet, apparently to add extra protection and make sure the map case can never get lost. 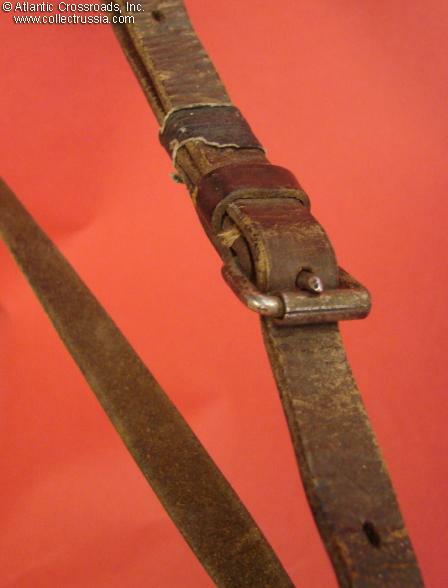 The original rivet is still present however, and the original thread attaching both ends of the sling is strong. The metal hardware shows minor surface oxidation only, still very sound and fully functional. 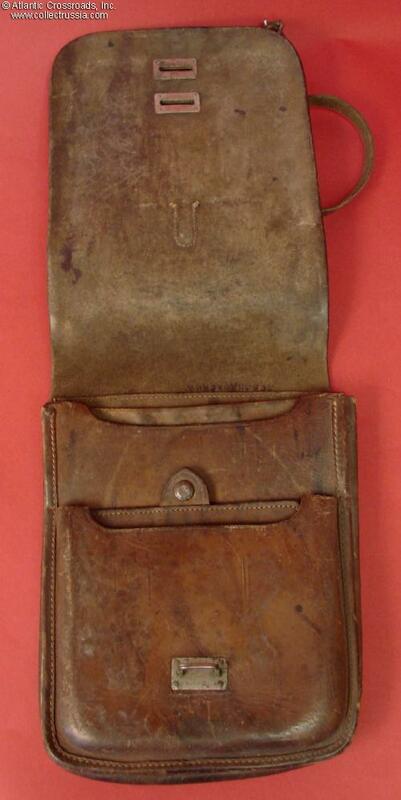 Overall, a very presentable map case that can be a nice addition to a Soviet WW2 officer's kit.